For an appointment with Aoife McNamara or to view her collection visit Aoife’s website which is linked below or call 0857398986. 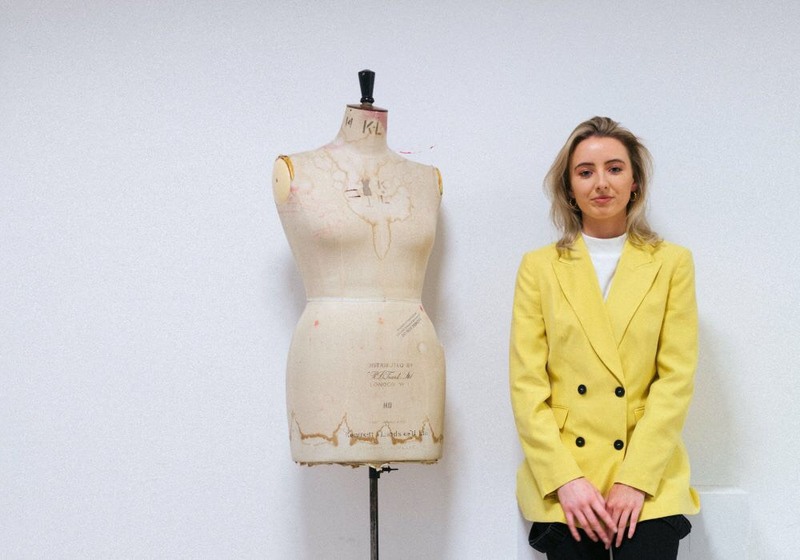 Aoife McNamara is a recent fashion graduate from Limerick’s School of Art and Design (LSAD), ranked as one of the top 50 fashion courses worldwide. The Mungret woman was bitten by the fashion bug when she interned for world-famous designer Marc Jacobs whilst living in New York for a year, and has subsequently dressed social media star Suzanne Jackson and Limerick’s own style icon Celia Holman Lee. This stint in New York is what inspired Aoife’s final collection, which draws on “a reflection of Ireland” entitled “Anail” which means “breathe” in Irish. The six pieces are an homage to Annie Moore, the first Irish immigrant to enter the US. Aoife drew inspiration from this feminist figure who faced her fears when she embarked on that journey. Aoife interned for world-famous designer Marc Jacobs whilst living in New York for a year, and has subsequently dressed social media star Suzanne Jackson and Limerick’s own style icon Celia Holman Lee. Aoife focused on “reconstructing tradition”, choosing to keep the Irish heritage alive and at the heart of each fabric choice by using materials such as wool, tweed, and woven yarns, so the outcome is very Celtic peasant with a romantic feel with details such as billowing sleeves and fitted corsetry. She says; “Through the exploration of labour intense work on the soil of Ireland, I was deeply inspired by the development of a 3D weaving technique applied with willow and reeds. 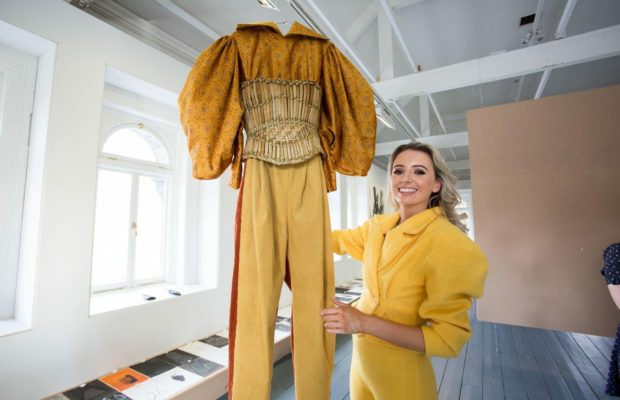 Creating a shape and volume in relation to restricting the body combined with a modern element of tailoring.” Her fabrics were sponsored by McNutt of Donegal, a traditional woolen and fabric mill. Aoife herself has high hopes of conquering the fashion industry after completing the 4-year course in Limerick. Empowering women is the message she wants to give with her designs, citing Amal Clooney as her dream client. 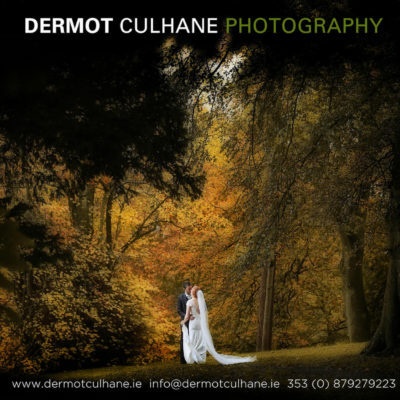 For an appointment with Aoife or to view her collection visit Aoife’s website which is linked below or call 0857398986.